Just talking about letters or doing flash cards can get pretty boring to a four year old. Not that there is anything wrong with flash cards. We use them. But we do more at the Brown House for Home School!!! I have a very favorite site that I love to go to for ideas. I add my own flair to an already great idea and my kids always take it a step further. But first I’m going to give credit to the blog sight that the idea originated from. You might want to check out this sight for other letter ideas too. Letter Of The Week E ! 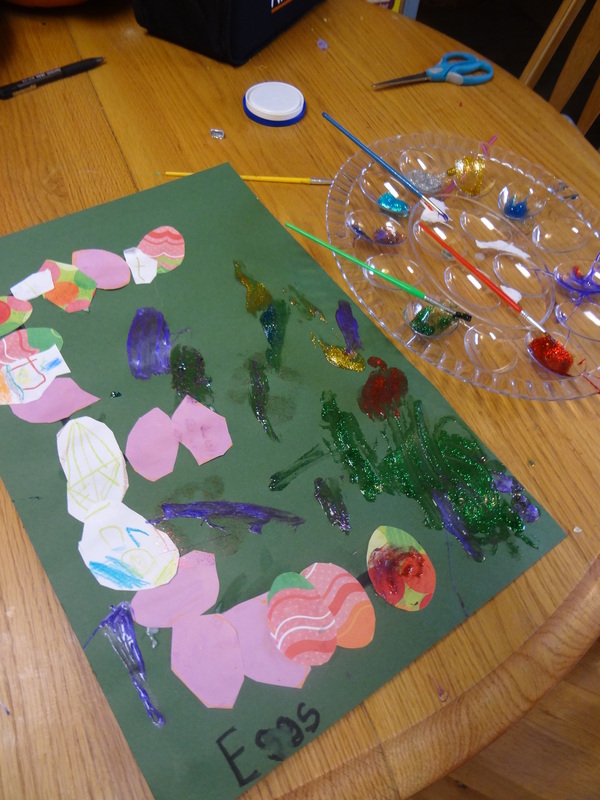 Eggs stand for the letter E. Out of pretty scrapbook paper Justin and Kaylee traced and cut out eggs. I joined in too. We put the letter E on paper and glued the eggs on. Now for the creative part at the Brown house. We put glitter glue in a plastic egg carrier. Kaylee painted her picture with brushes. And than she took it to the next level. Finger Paint!!!! 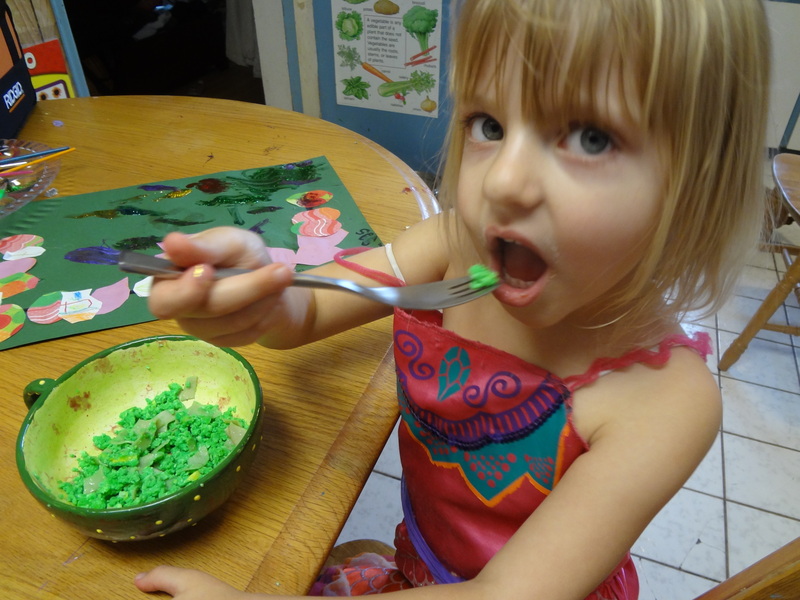 Crazy time came today after craft when we had green eggs and ham for lunch. Eating it was an experience for all three of us. 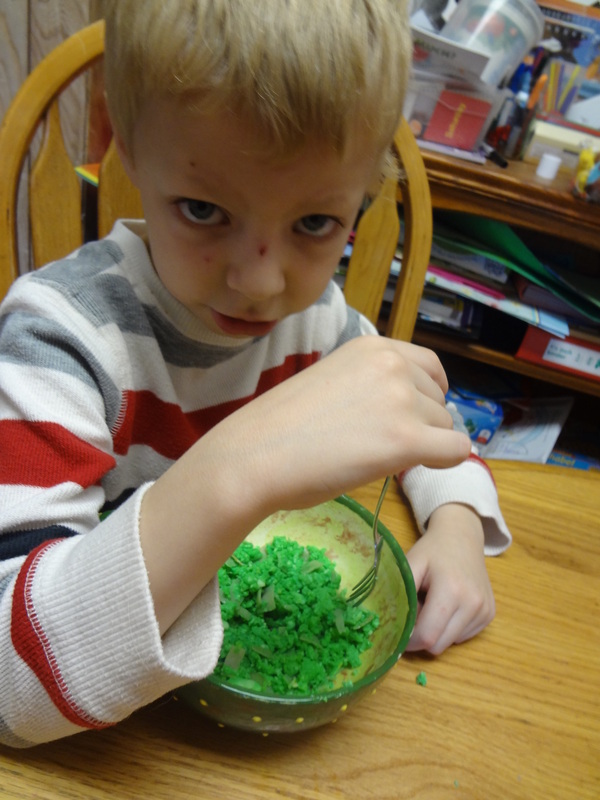 Justin was ok to eat it after I told him that the green was food coloring. Together we read Green Eggs by Dr. Seuss. Great way to spend a day!!! 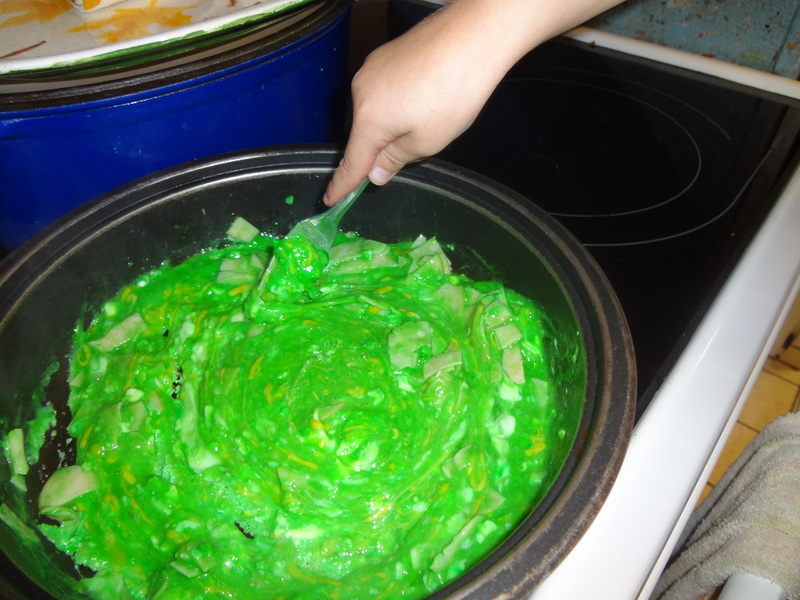 Justin wants me to make the eggs red next time. 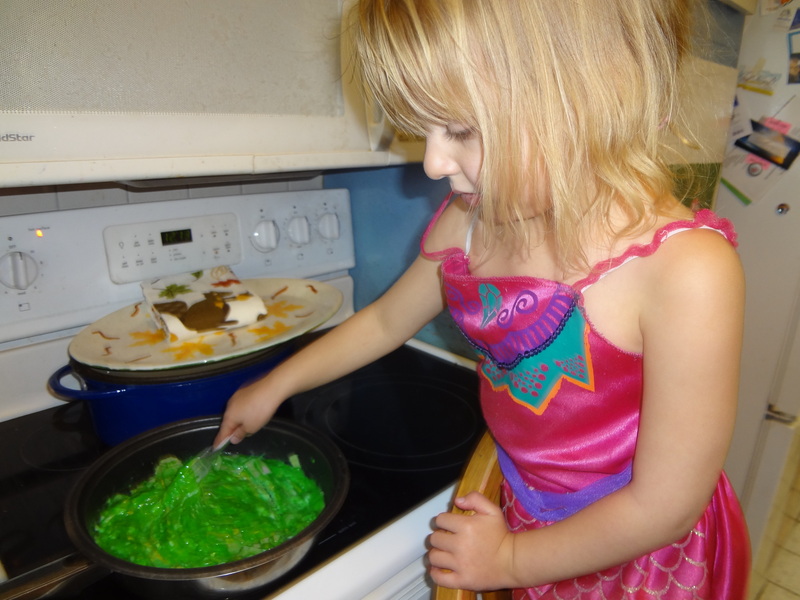 Any ideas for a learning activity that includes red eggs and is not too gross? 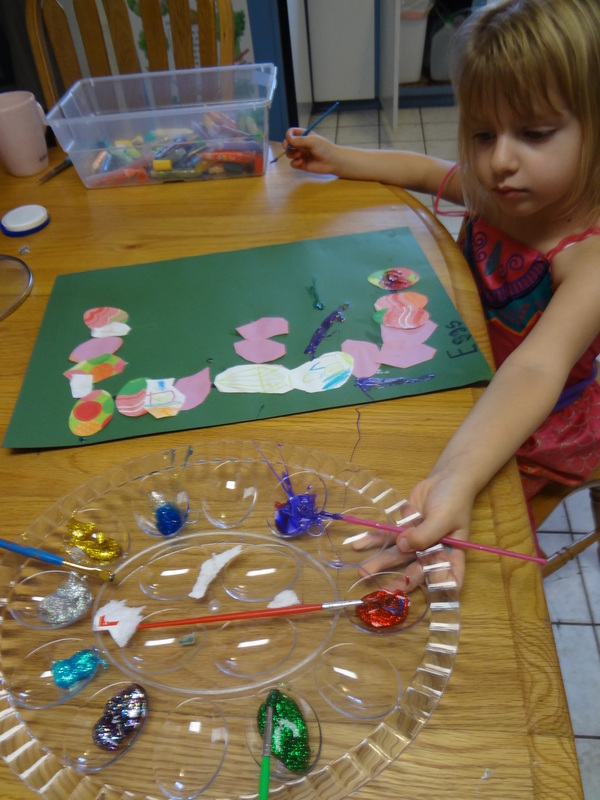 Why Not Say Yes To Finger Paint?